It was a week ago that I received my signed copy of Harken in the mail. It's a shiny, black paperback with the now-familiar cover image. 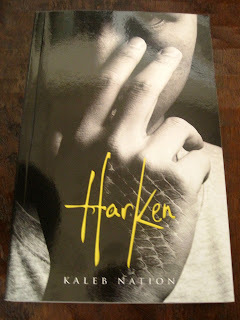 Now I have all three of Kaleb Nation's books, all signed. I can't say that for any other author, so it's rather special.